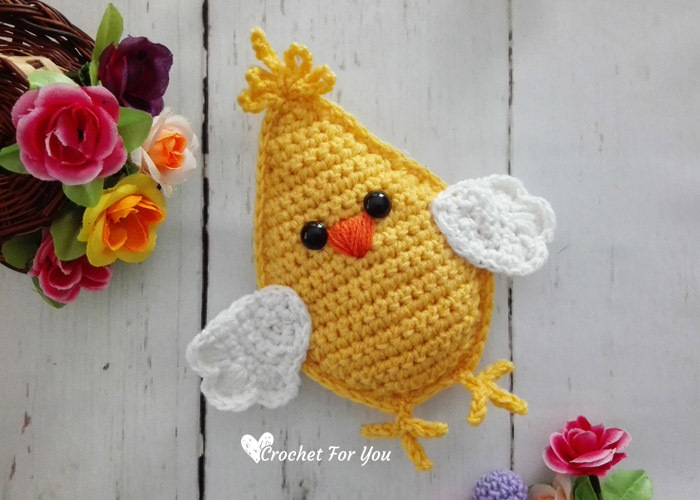 Little Spring Chick Amigurumi Cochet Pattern by Crochet For You. 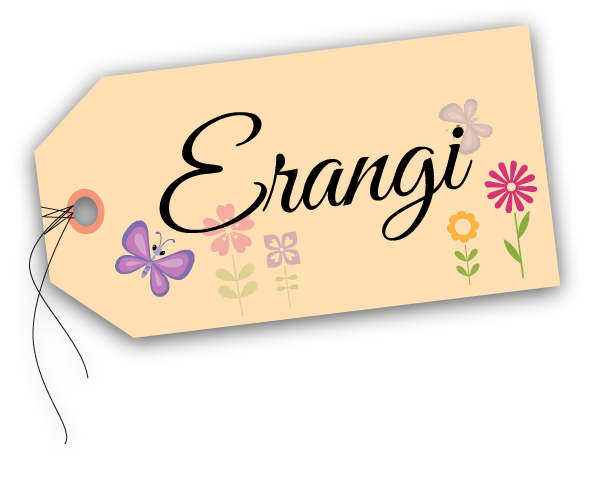 Hello, my dear crochet lover friends. 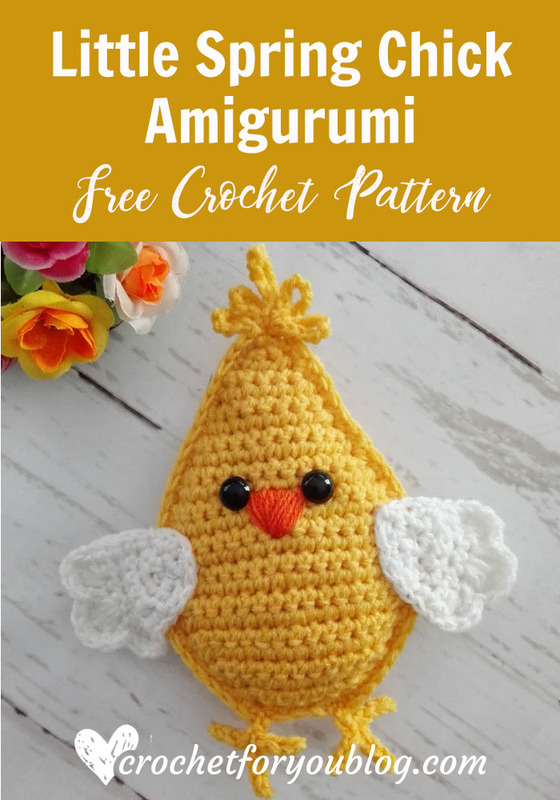 🙂 This week I have a special crochet pattern for you. 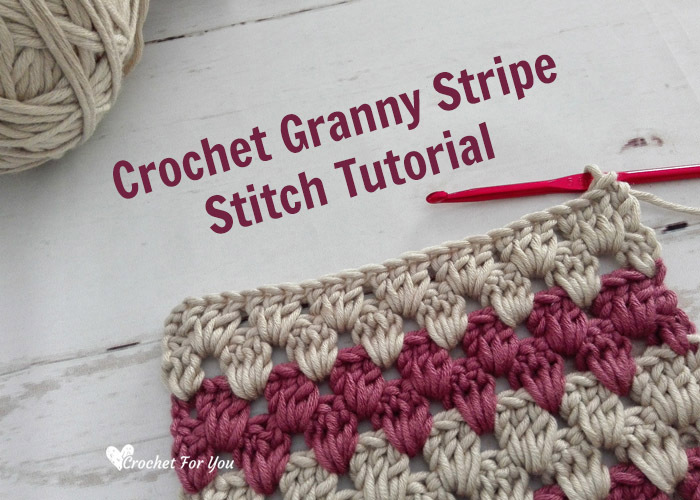 You may have a question why today special crochet pattern? Here is the answer. 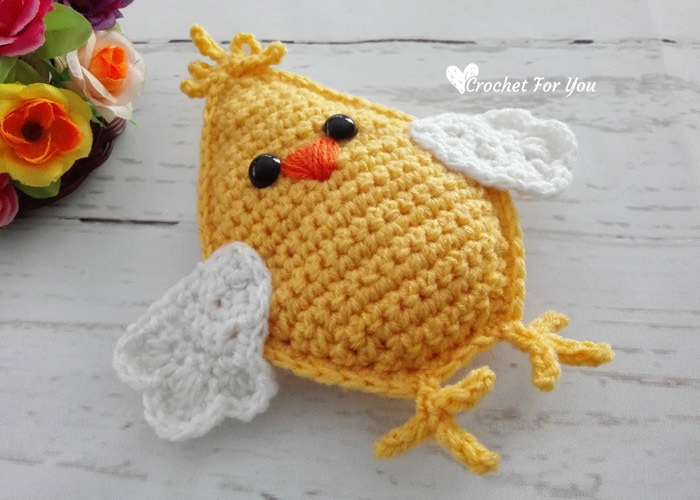 🙂 This is my first try to make crochet chick. And I completely, 100% happy with the final result. It turned out so beautifully than I thought. 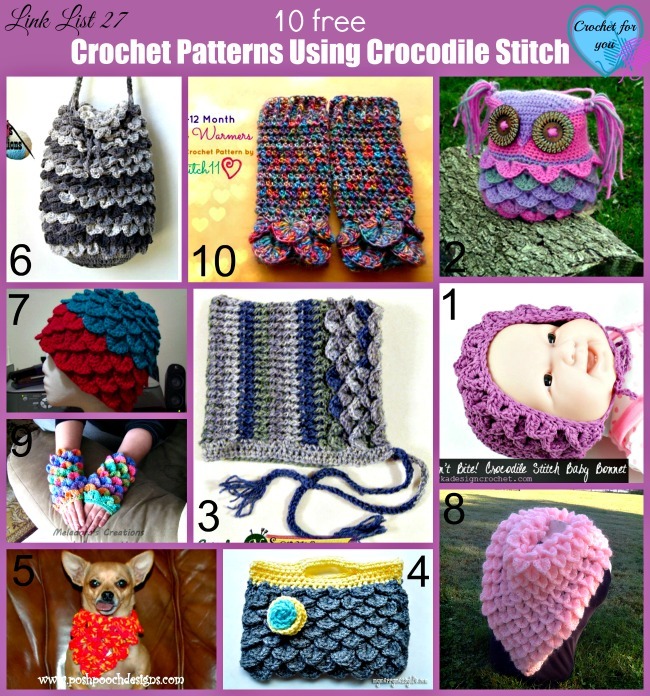 I couldn’t wait until next pattern release day on here my blog Crochet For You. 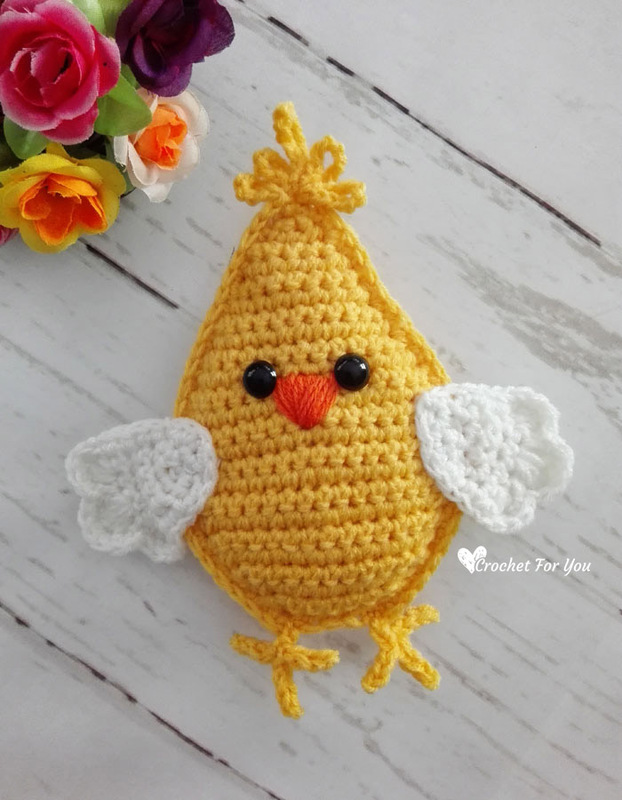 So, my friends here is the pattern for Little Spring Chick Amigurumi Pattern. 6″ x 7″ including wings. 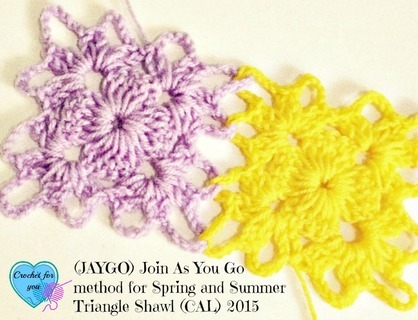 Gauge: 16 sc x 16 rows = 4″ with 7 / 4.5 mm crochet hook. Sc2tog = Insert hook in indicated st and draw up a loop. Insert hook into next st and draw up a loop. Yarn over, pull back through all 3 loops on hook at once. With yellow color yarn, crochet ch 2. Row 24: ch 1, sc in first st, sc2tog, sc in each of next 2 sts, sc2tog, sc in last st, turn. (6 sts). Fasten off and weave the end. Leaving 10” long tail of white color yarn, crochet ch 2. 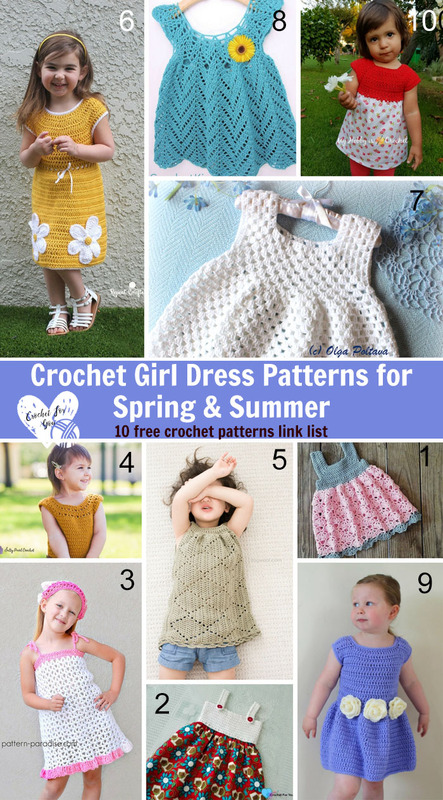 Row 7: ch 1, 3 hdc in next st, sl st to next st, ch 1, 4 dc in next st, sl st to next st, ch 1, 3 hdc in next st, sl st to next st.
Crochet sc around the edge. Add 2 sc in random stitch on curve side to make a smooth edge. Fasten off weave the end. sl st in very first ch, ch 1, sc in first st. Fasten off and cut the yarn leaving 10” long tail. Place safety eyes between rows 10 and 11 on one of the body piece. And stitch triangle shape beak in orange color between eyes (this is a front body peice of the chick). Holding two body pieces together (hold the front body piece with eyes, wings and beak, right side out), with yellow color yarn, begin with 1 sc at the top, [ch 8, sl st to same stitch (made a loop)] 2 times, ch 12, sl st to same st (made a loop), [ch 8, sl st to same stitch (made a loop)] 2 times, start to crochet sc in each around the edge, add 2 sc in random stitch on curve sides to make smooth edge. Add fiberfill while joining. Don’t forget to fill lightly. sl st to the first st and fasten off weave the end. I love your patterns! I just wish I had the time to make them all. 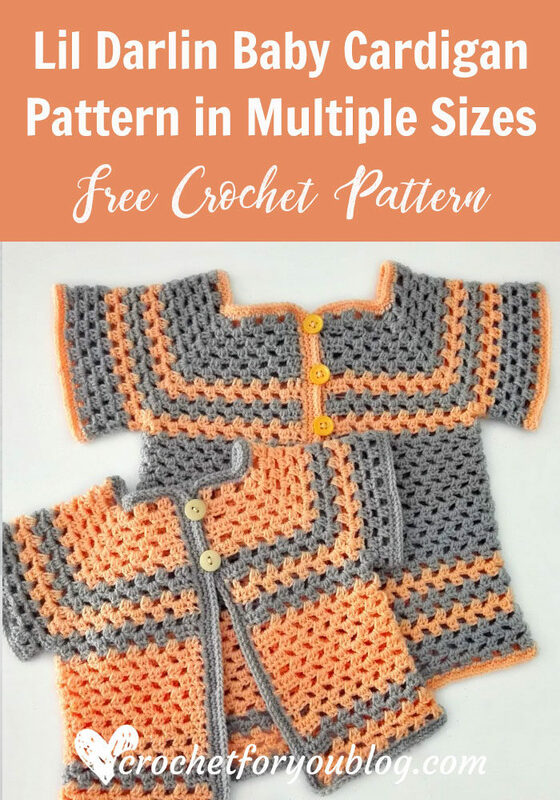 God bless you for all the free patterns. Have a happy and blessed New year!